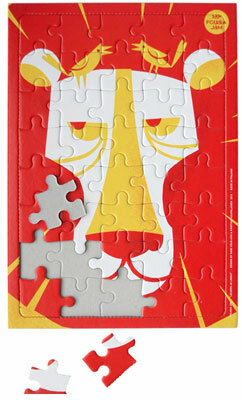 It might not take too long to make, but the end result is worth for these Animal jigsaw puzzles by Kristiina Haapalainen and Sami Vähä-Aho for Polkka Jam. Modern Finnish designs, but with midcentury inspiration, the designs are from the company’s Savanni collection, officially called the Elefantti ja lintu puzzle (above) and the Leijona ja linnut puzzle (below). 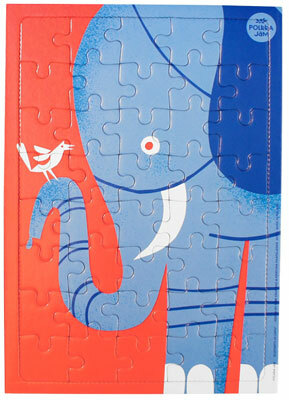 Both are 40-piece jigsaw puzzles and both are lovely designs to create and to look at long after. You can buy both online, 12 Euros is the price of each.